It’s that time of year when school supply lists are fresh off the press and we head off to get our students ready for a successful school year. When stocking up on all of the back-to-school essentials, this mom appreciates the convenience of a one-stop shop to check everything off my list. This year I found all of the convenience, savings, and more at Walmart, today’s blog post sponsor. I especially love that they are integrating TeacherLists right on their website so you can download your supply list directly from the source! While gathering classroom supplies, I like to take advantage of the back-to-school savings and stock up on some extras for home. Having a well stocked art and supply closet at home comes in handy when putting together quick and simple after school activities like the art project we’re sharing today. 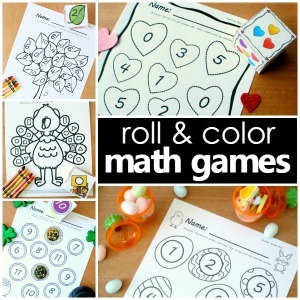 Most afternoons, I will set out a few materials and invite my kids to get creative. Some of my favorite pieces of art are those that are open-ended creations. Today we are sharing one of our favorite activities: an easy watercolor art project that you can do with some of those extra supplies you may have grabbed in your back-to-school shopping at Walmart. We have explored different ways to create art with watercolors in the past and found it to be a fun quiet activity. 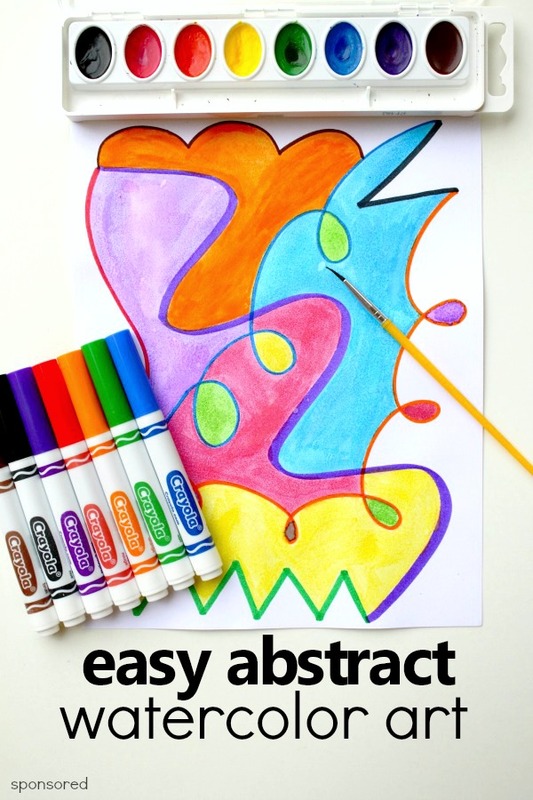 All you need are some some watercolors, card stock paper, and markers to get started in creating some abstract watercolor art. Often this type of art project is done with permanent markers, but we found using washable markers worked just as well. We love the thicker lines, and of course—parents and teachers can be a bit more at ease when there aren’t permanent markers in the mix. 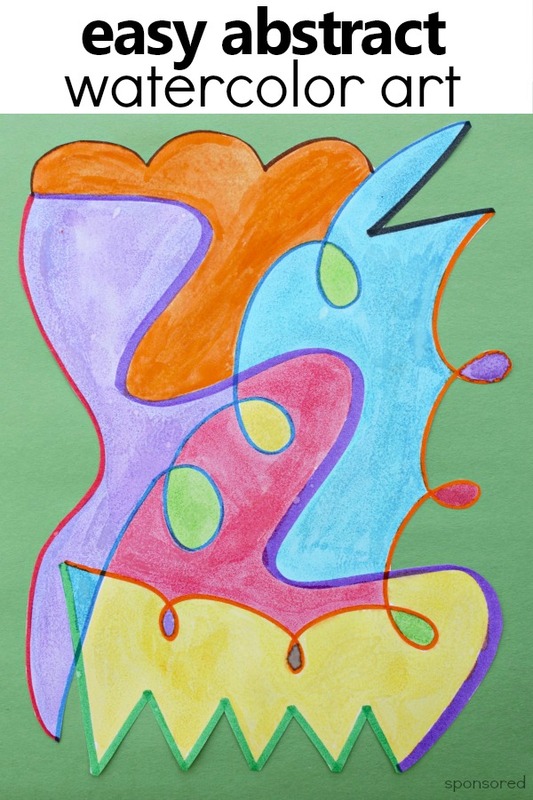 The first step in creating abstract watercolor art is to randomly add scribbles to the paper. When you tell your kids they are allowed to scribble, they just may look at you a little sideways. But hey— this is the fun part that makes for very interesting process art! 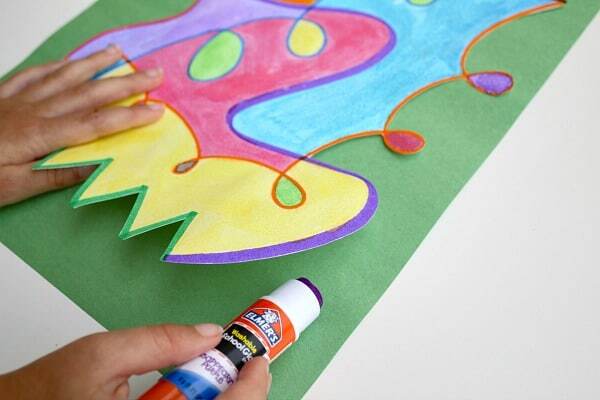 What may seem like scribbles is actually excellent fine motor practice for those smaller hands. 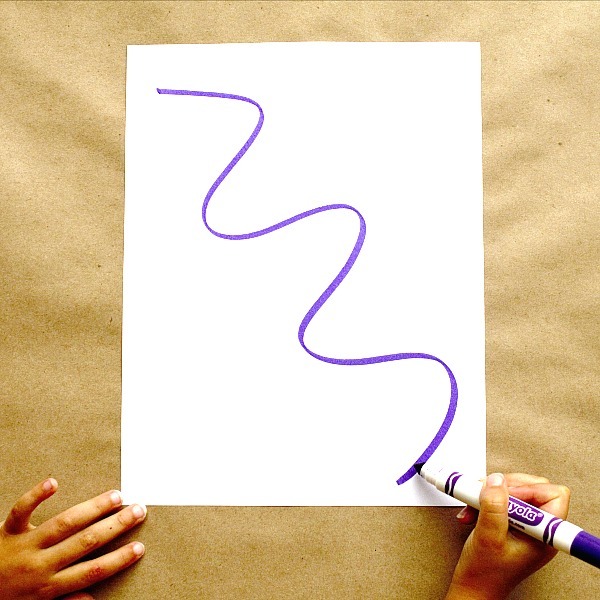 Simple straight strokes, curves, zig-zags, and loops lend good practice to letter and shape formation. 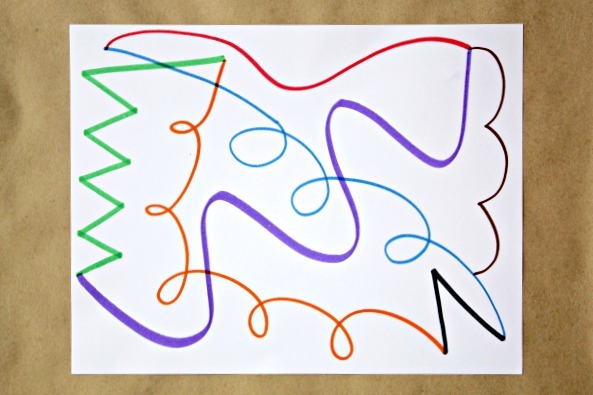 Using a variety of markers to create random scribbles on the paper, we started our abstract art with one giant curvy scribble. Select a new color and type of scribble to branch off from each line. 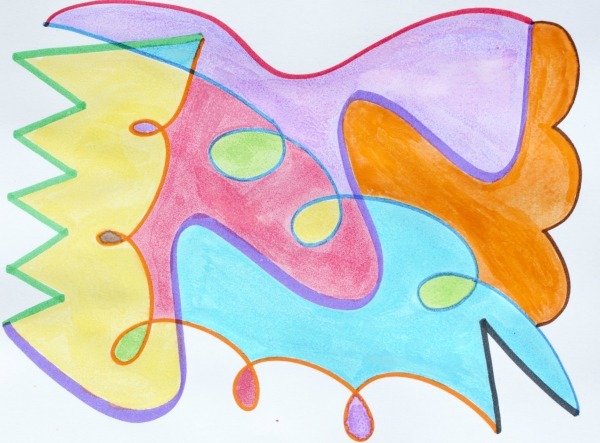 Continue changing out your colors and scribbles until the paper is filled. Once you have scribbled your heart out, the painting can begin. Using a basic watercolor set, we chose different colors to fill in between each scribbled space. Be sure to use a minimal amount of water when painting between the lines. A little bit can go a long way! We found that if you use too much water, it can cause the washable markers to run into the watercolors. Taking a cautious approach, we took this opportunity to practice tracing along lines as we painted. After the art was dry, we had fun rotating the paper around searching for different pictures within the finished piece. I loved listening to their imaginations run wild as they discovered an eel hiding in some coral, a king wearing a crown, and even a clown with curly orange hair! 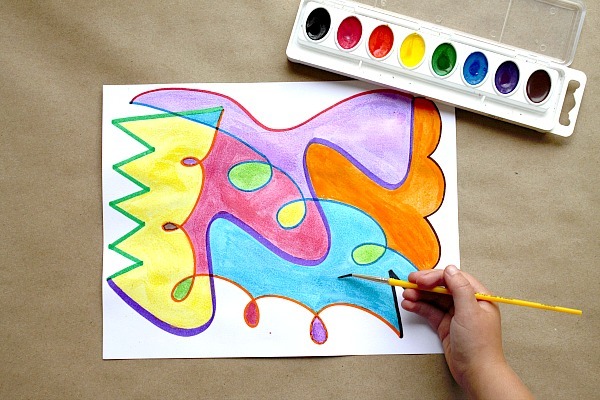 As an extension to this activity, you could frame the watercolor art onto construction paper. 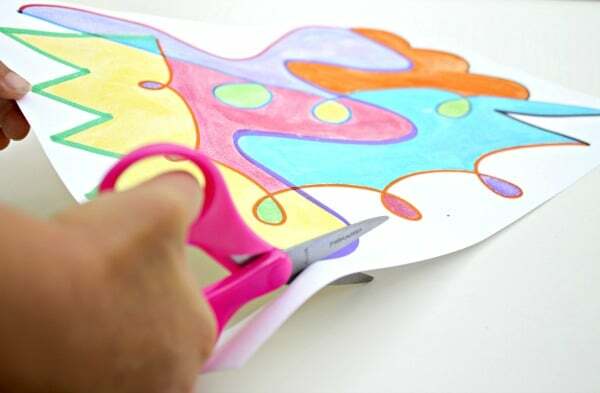 After carefully cutting along the outside edge of the art, glue it on the construction paper to really make it pop! This piece of art will definitely find a good home on our fridge! 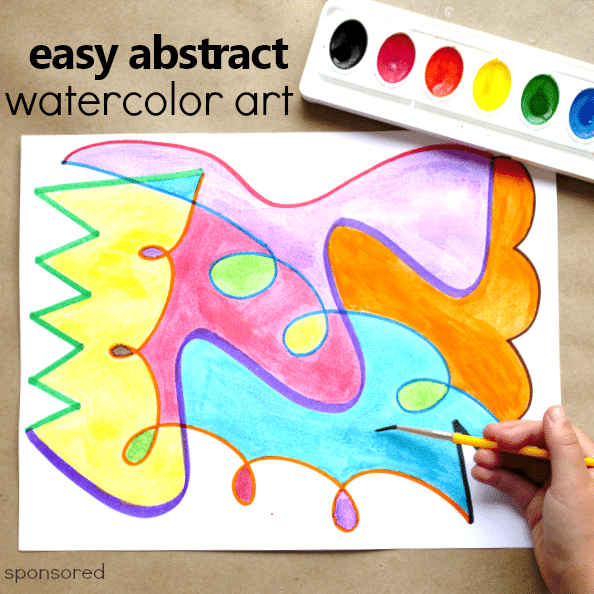 We hope you enjoy creating some of your very own abstract watercolor art. 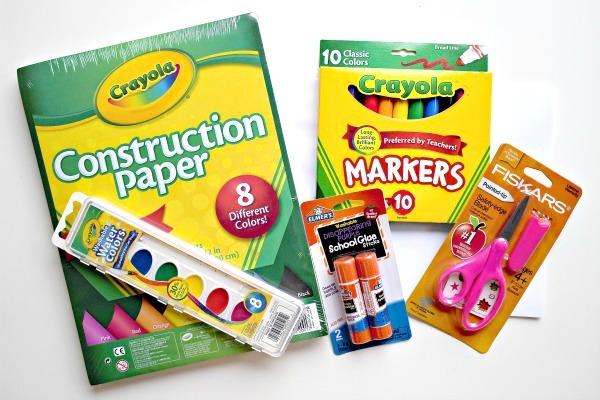 If you’re looking to save time on gathering your school supplies and want to shop online, check out Walmart’s same-day pickup options for school supplies. Your supplies will be waiting for you when you arrive! 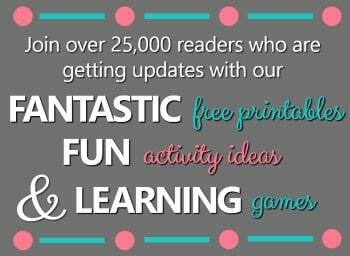 How’s that for a back to school sanity saver? !